Pure Results is a fitness retreat with a difference. Pure Results offers multiple retreats throughout the year, all hosted at stunning locations. Pure Retreats offers life coaching and nutrition advice and promotes lasting professional advice. Pure Results seven-day retreat is a truly immersive experience centred around weight-loss. Clients can focus solely on achieving their goals and optimizing their health and well-being. This package is all-inclusive with seven nights accommodation, a consultation with our head nutritionist, day trips to some of the best national parks and adventure centres in Ireland and a range of high-intensity and low-interval fitness classes such as boxercise, circuit training, Pure Result's famous assault course, MetaFit and yoga. Mount Falcon Estate is nestled on the banks of the River Moy amid 100 wooded acres and set in a Gothic manor house dating back to 1876. Coupled with the usual Pure Results Bootcamp activites, Mount Falcon also allows retreat guests to make the most of the outdoors with hikes and treks along the mystical land of legends and cliff-tops of the Carrowteige Loop Walk. Other amenities include a spa, gym, pool and walking trails. Pure Results Bootcamp caters for all levels of fitness for both men and women of all ages. The hotel at Mount Falcon comprises of 32 bedrooms which includes 2 suites and 4 deluxe rooms located on the upper floor of the original house. These rooms and suites are truly unique with 15 foot high ceilings, marble fireplaces and cast-iron baths in most of the en-suite rooms. 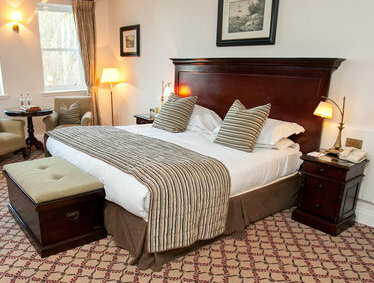 An additional 26 superior rooms make up the rest of the hotel. These rooms are spacious with king beds, custom-designed free standing furniture, generous en-suites – all of which include large showers & seperate baths with double marble vanity units. For guests who are looking for more flexibility, Mount Falcon also hosts luxury 3 and 4 bedroom sel-catering and full service lodges. The Kitchen Restaurant is the main dining area at Mount Falcon and is situated in the original kitchen of the house. Menus on offer vary with the seasons and availability of the very best of fresh local produce, including the best of produce from Mount Falcon's very own kitchen Garden. lounge areas. An extensive wine list, accommodating all tastes, has been carefully compiled to match and complement the food offerings. Private dining and afternoon tea is available on request. Cancellation must be made 24 hours prior to arrival. Booking is essential as space is limited. Refunds are available up to 21 days prior to camp starts. Deposits are non-refundable. Pure Results Bootcamp operates at three locations in Ireland. 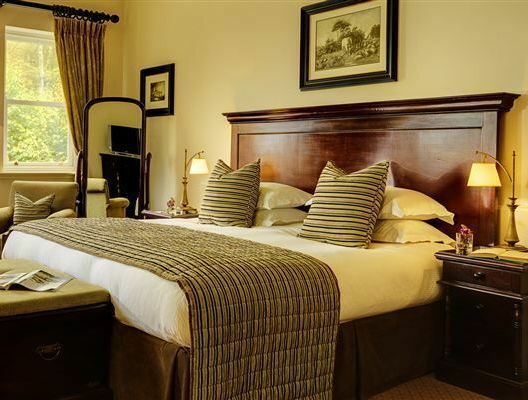 Nestled on the banks of the River Moy amid 100 wooded acres and set in a Gothic manor house dating from 1876, the elegant Mount Falcon Estate is 7 km from Saint Muredach’s Cathedral. The areas surrounding the Mount Falcon Estate contain a goldmine of history and culture and are steeped in heritage and tradition. The area provides a truly unique insight into Ireland’s history, from the world’s most extensive Neolithic site at Céide Fields to megalithic tombs dating back 5,000 years to our most recent history of the past 300 years. Time travel through the terrain of Irelands compelling past and explore the treasures nestled in its coast and townlands.